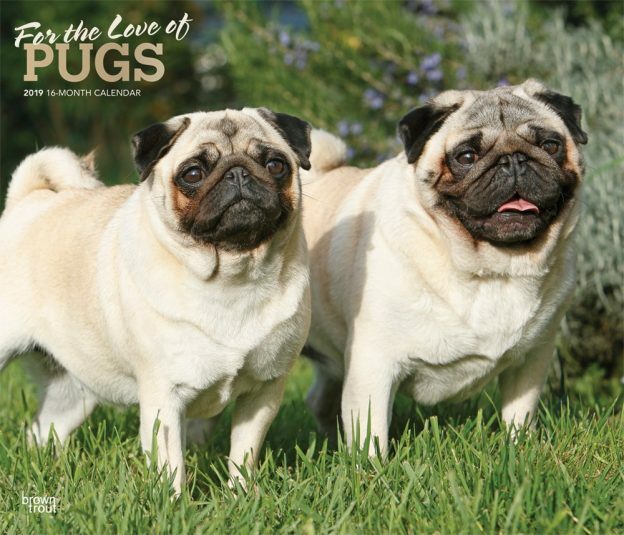 A small, confident dog, the Pug is one of the world’s oldest breeds. Outgoing and playful, the Pug breed has been referred to as multum in parvo, meaning, a lot in a small space! Wonderfully expressive Pug mugs give a whole lot of panache to this deluxe edition wall calendar. This calendar includes a free download of the DogDays™ app for the smartphone and tablet, which grants access to the world’s most captivating dog photos and backgrounds, fun puzzles, and a calendar featuring your favorite furry friends. This entry was posted in Calendar Showcase, Dog Breed on April 8, 2019 by dogdaysapp.